What’s this? – A tricycle. It’s special on in our family – an old one I restored our eldest was a baby. It has since been used for many years which is why it looks so loved. What makes tricycles good? 3 wheels – very stable. Will it work if one of the wheels are taken away? – No. All 3 wheels are equally important & they work together as one. 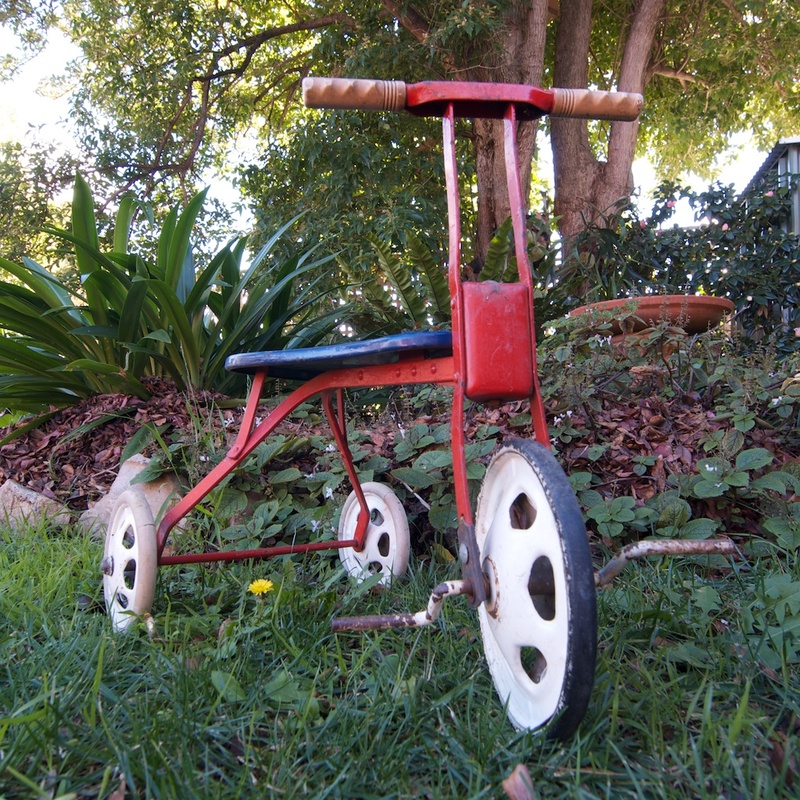 A tricycle is not a tricycle without all three. This entry was posted in Pentecost, Photography, Year B and tagged Trinity on June 7, 2012 by Mark.